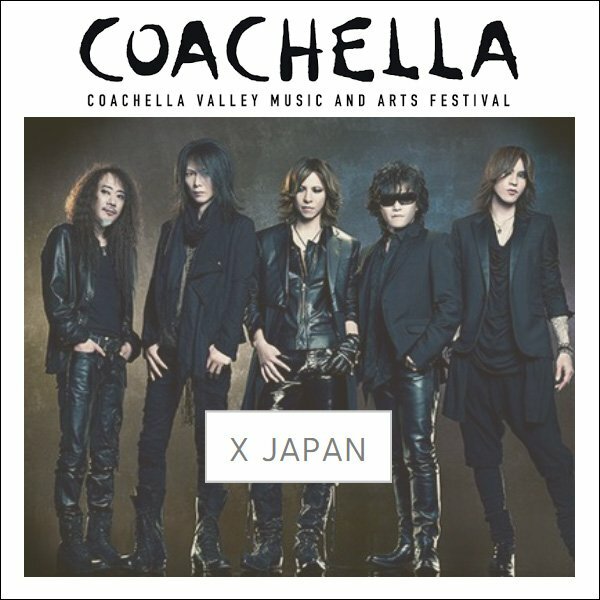 X Japan will performing at Coachella 2018. The band&apos;s concert dates will be on April 14 for Coachella&apos;s first weekend, and April 21 for its second weekend. Performing the same day as X Japan will be big-name artists such as Beyoncé, HAIM, Fleet Foxes. Coachella, located in Indio, California, is one of the most popular and well-regarded music festivals in the world. 250,000 people attended Coachella in 2017.
wow I wonder what songs they will perform, just new ones or some classics?